Wolfson announce a 'multi-year' agreement to become Samsung's primary audio partner in smartphones and tablets! 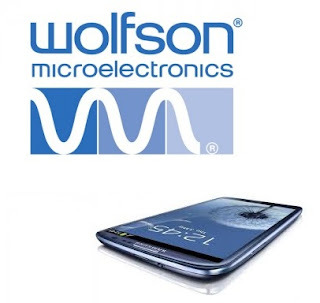 Last Thursday Samsung and the British company Wolfson penned a multi-year agreement which will see Wolfson become the primary audio partner for Samsung's extensive range of smartphones and tablets! The likelihood is that if you may not have even know that Wolfson were behind the audio in your current Galaxy smartphone. If you have either the Samsung Galaxy S III, Note II or Note 10.1 then you'll have already experiences Wolfson's audio wizardry. LandOfTechnology notes that, "Wolfson holds a lot of patents in mobile technology and this new deal... suggest[s] the companies will share insight into developing new tech," hopefully making the deal mutually beneficial. On top of this the guys reported that Wolfson are now well on the way to meeting their revenue target of £150 million for this year, a year on year growth of some 26%!